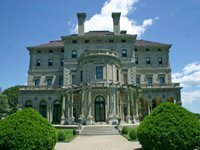 Things To Do In Newport Rhode Island - There's something for everyone here! Something for everyone in the "City by the Sea"
So much history, culture, shopping...so little time. The list of things to do in Newport really is endless. So where should you begin? It's simple. Just click on any of the categories below to learn more about that topic. 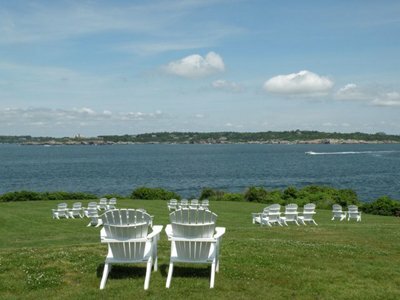 Then I'll direct you to great spots like the one below (Castle Hill Inn and Resort), where you can enjoy a great meal and the breathtaking view of Narragansett Bay. It's funny. I can remember when I was young, complaining to my mother that I was bored, and that there was never anything to do. Of course she always told me that I was wrong, and she was right. I was lucky to grow up in this beautiful, historic city. I didn't always appreciate it when I was younger. But now, the more I learn about and explore the "City by the Sea", the more I appreciate it! 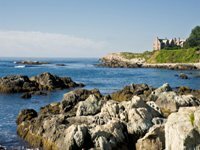 I'm sure you will too, as you discover the unlimited things to do in Newport Rhode Island. 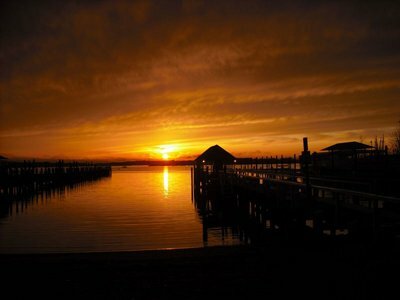 Some people would be in heaven if they just went to the beach or sailing every day, and then enjoyed a waterfront dinner at one of our great restaurants. Others could spend days just visiting all of the unique shops along our cobblestone wharves. You could also make a day out of just touring the Newport Mansions on Bellevue Avenue. What I recommend is that you sample a little of everything. Visit our shops, museums and mansions. 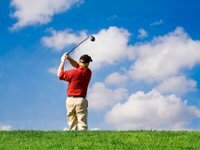 Spend a morning at the beach or on the golf course. Take a guided tour of the city and/or Newport Harbor. Indulge yourself at our restaurants, bars and nightclubs. 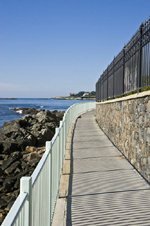 Walk the scenic, Newport Cliff Walk. Enjoy our beautiful coastline as you take a ride along the 10 mile Ocean Drive. One of my favorite things to do in Newport, despite the fact that I grew up here, is to visit its many attractions. 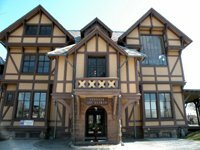 The list is endless: Museum of Newport History, Redwood Library, Touro Synagogue, International Tennis Hall of Fame and Newport Art Museum are some of the most popular. Rhode Island beaches are a great place to relax while you're here on vacation. Easton's (1st Beach) Beach is within walking distance from most hotels and accommodations. Live music, beach volleyball and a merry-go-round for the kids will make for a fun day. There is so much to see in Newport, and so many different ways to see it. 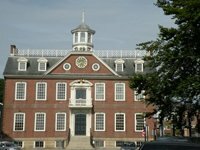 You can take a historic walking tour, and learn about the history and architecture of Newport. You can take a romantic tour of Newport Harbor, or you can be a little more adventurous and take a helicopter tour of the island. Newport Cliff Walk must be on your list of things to do in Newport. It is a 3.5 mile long public walking trail on the eastern shore of Aquidneck island. It was designated as a National Recreation Trail in 1975. In addition to the breathtaking scenery on the ocean side, you'll see many of the Newport mansions to the west. Its the perfect spot for picture taking. If you're feeling adventurous, find a spot down on the cliffs to go swimming off from. Just be careful! There are some steep drops off the cliffs. Newport's 10 Mile Drive is another attraction you could make an entire day out of. This scenic drive is always a draw for tourists and locals alike. Take a leisurely walk, drive or bike ride around all or part of it. 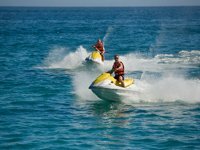 The perfect location for various activities such as: fishing, swimming, scuba diving, picnics and kite-flying. 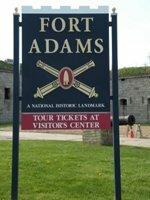 Fort Adams is (in my opinion) another must see if you visit Newport. The Fort is now a museum, open for guided tours daily, Memorial Day thru Columbus Day. In addition to the Fort, there are many other things to see and do on this property. Eisenhower House, the former President's summer home is here. Sail Newport, Rhode Island's public sailing center is here. There is also a beach, soccer and rugby fields, and Newport's famous Folk and Jazz Festivals take place here. If you're interested in arts and entertainment while you're here, Newport will not disappoint. Newport is home to many fine art galleries and has various performances to attend at night. 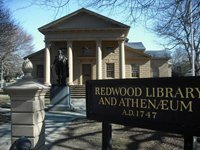 Check out the Newport Art Museum, Newport International Film Festival and Firehouse Theater. Newport may be the "Sailing Capital of the World", but it's gotta be right up there as the "Event Capital" as well. 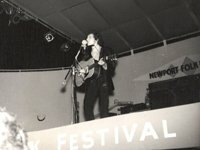 The Newport Folk and Jazz Festivals, Newport International Film Festival, Newport International Boat Show and many more are held here every year. There is always a variety of things to do in Newport. 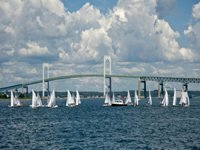 Naturally, there are plenty of things to do in Newport that revolve around the water. You can body-board and surf at 1st or 2nd Beach. You can jetski around Newport Harbor. You can snorkel and scuba dive around the Ocean Drive. Newport has a rich history in both golf and tennis. You can play at the International Tennis Hall of Fame (reservations required), and there are also public tennis courts around the city. Newport is home to one of the nation's most exclusive golf clubs, Newport Country Club, and some great public courses. For you fitness enthusiasts who don't want to pack on too many pounds during your visit, you've got some options when it comes to exercising. You can workout at any of our public fitness centers. You can go for a run or a bike ride around the Ocean Drive. Or you can hook up with a personal trainer for a few days. 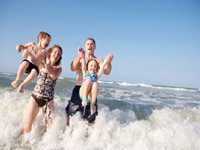 Although the beaches are probably the favorite destination, there are many other things to do in Newport for children. Hand paint some pottery at the Accidental Artist, fly a kite at Brenton Park around the Ocean Drive or explore the Norman Bird Sanctuary, near 2nd Beach. 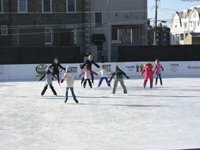 Island Skating Academy brings over 20 years of skating experience to Aquidneck Island and South County Rhode Island. Instruction is offered in a variety of disciplines and locations to suit your needs. There are so many things to do in Newport, and we've only scratched the surface on this page. We'll continue to update this section of the site. If there is anything you're interested in that you don't see here, please contact us and we'll get you the information you're looking for. Return from Things to Do in Newport Rhode Island to Newport Discovery Guide home page .